Blaine, an extra "s" has crept into your Nostril(s) answer above. Oh, Word Woman, just hold your nose! LOL! If you say so, and I have made the TMI mistake before. I am removing my remark, but I really fail to see any giveaway in it. More Thursday. Thanks, Rob. I deleted it. Sometimes describing the method in acute detail narrows it down too much. BTW, I think this answer is more fun than the other, likely expected, answer. Great Unexpectations! LOL! Now your remark is deleted, too! What to do, what to do? Ha ha ha . . the eye has it! Was working backwards from 7-letter body parts containing the letter “R”. Had already discarded bladder and sternum, when the picture of a nose at the top of this blog reminded me of nostril. Working back to tonsil was easy after that. Because of the picture, the eye has it (the answer). Aw, c'mon. They are both tmi clues. Couldn't solve it working forward, but much easier working backwards. WW - Regarding my earlier post: No disagreement. Just my attempt to suggest a tacky clue. Lorenzo, still scratching my head at your tacky clue? Don't think I want to meet those people. People without the seven letter body part would be very disconcerting, and noticeable. I think that clue is misleading. That BALDED part is in need of a BLADDER. Using one of the proliferating services for such, this took a couple of minutes to solve, more than it was worth. In my view, last week's subjective "challenge" left the Putzlemaster open to several criticisms. The most serious of these is his failure to admit, let alone discuss, the validity of other answers based on regional differences. He even has a claimed 1000 submissions with such data, i.e. which pronunciations of which words came from where. I'd say he made an unintentional admission today: he may be the best boggler in the world. Agree with Mendo Jim. In addition, context provides the pronunciation of the vowel sound in "what." When you can't hear what someone says, the "ah" in "What?" is different from the unstressed "uh" (what Will calls a short u, but I call a schwa) in " I don't know what you're saying." I bet there were fewer correct answers from the Northeastern US to the what was puzzle. A vague hint. When I came up with tonsil, nostril, I immediately thought of the similar sounding Cosa Nostra. Now I can't keep the two separate in my head. Plus, if you don't pay on time, your tonsils might get removed through your nostrils. So easy, a child could . . .
Across the nation members of the Society To Repudiate Anagram Puzzles will hold a candlelight vigil to protest this puzzle. At the very least, not mentioning 'A' as an alternative word was a big oversight. It's common and it sounds like a schwa quite often. "Puzzy Wuzzy Was Uh Bear. . ."
I thought we had put to rest that a schwa is not the same as a short u.
Ron: The difference between schwa and short u relates to whether the u is stressed or not. Lots of references online about this. An unstressed "a" is a schwa (ə) sound. This is not the same sound as "uh" stressed or unstressed. It is a short u (ŭ) sound as in "cut" "rough" "flood" "son," etc. I think most people would say what and cut rhyme; the distinction falls on deaf ears. Yes. They are both short ŭ's. Those who want to make even Will's example words of short ŭ FUN & LUCK into schwas do not understand Will's use of the short ŭ sound. Just when I was starting to feel some schwa de vivre! I'll spell how I wanna spell! The answer reminds me of a Naked Scientist show I heard recently, and also what happened to a son of mine when he was little. 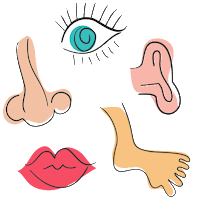 --Margaret G.
tonsil and nostril - my clues had to do with nostril - a recent NS show talked about nose bleeds sometimes being caused by young children picking their noses/nostrils. And one of my sons had a nosebleed once that caused blood to come out of his eyes as well - freaked my DH out! --Margaret G.
Blaine sure knows how to find pictures to post with his clues. I hope I'm not mistaking one of those pics for different body parts. Funny things happen when you spell balustrade with two L's. eco, throwing shade at this post, I see. More like a shaft of light. 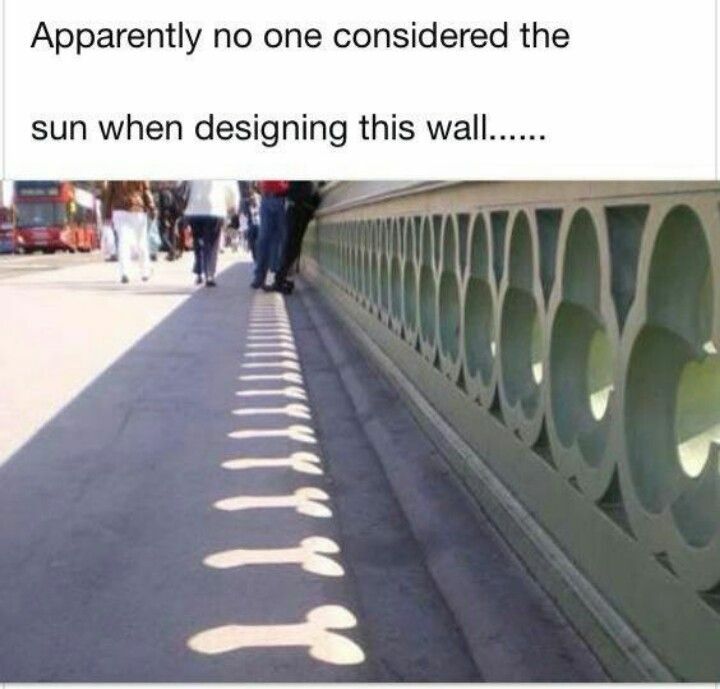 It is the Westminster Bridge. Famous nearby erections include Big Ben, Broad Sanctuary, Great Peter Street, and Waterloo Station, handy for the many piers on rainy days. I wonder what middle school will be like? In a dictionary far, far away a new movie franchise begins: Schwa Wərs. Chuck, love it! Starring Lexicon Luthor? (I know, I know). I have the intended answer, but there’s a second perfectly good answer if you accept plurals. I have found that also. It is not just adding an "s" to the end of the word. "Name part (not a part) of the human body in six letters." If Will doesn't mention this alternative, I will truly, truly be annoyed. Ummmmm... does this mean that my original hint as posted is not TMI? And I can put it up again? I don't think I see the "part" "a part" distinction, but Willy better watch out if WW gets truly, truly annoyed. Rob, it still seems to walk one right to the alternate answer. For me, that was the fun of it. But, that cat is slowly coming out of the bag, I suppose. I also originally thought your second sentence referred to that alternate answer also. That also seemed too clear a path. Anyway, it's up to you and Blaine. I would not want you to be truly, truly annoyed. Darn right about that, Mendo Jim! I think I may have sent in the answer with the plural this morning. I couldn't find anything else that worked. I also was going to say Lego had a similar puzzle with my answers on Puzzleria! a while ago, and you'd have to find it yourself. I don't normally check the P! archives for past editions. Word Woman: I am never truly, truly annoyed at the shenanigans here - this is a place of fun. I will repost, with modifications. I agree, Rob. Fun only here. Looking forward to your post. I don't think the Putzmaster is going to give it to you WW. Femora are parts not part of the body. Unless you Google it, then you get some hokey skin cream. I'll keep my annoyed-o-meter turned to high-res and pointed at Colorado. We'll see on Sunday, MJ. But, thanks for the high resolution pointing toward the Centennial State. I'm glad I solved this before I got up and saw all the giveaway clues. No need for another hint. Shame on Will Shortz and NPR not to have even mentioned the three other words that equally qualify. They are A, WANT & WANTS, and all of them are in Merriam-Webster, which is the reference dictionary Will Shortz has stated more than once that he uses. Perhaps WS didn't even see all the responses, and some minion simply looked for the two words WS said were the correct answer, and when he came across the other totally correct words he didn't check to see if they also qualified. I guess we will never know the answer. Those are possible explanations, but to paraphrase an old t-shirt, you may just be mistaking him for someone who gives a s***. Name a word that rhymes with want. Are you trying to taunt SDB? I think I'll punt on that one. And, I assume, Immanuel Kant, Kunt. Found the answer by working backward from the seven letter term with an "r" in it. To reiterate: I say nothing of the possible alternate answer this time, but you can take the six letter word of the answer I think Will is looking for, remove the first letter, rearrange, and get another body part. And if anyone tells me this time that this is TMI, I am going to delete my post again! I am warning you! Just see if I don't! We would not want to Rob you of that double thrill, sir. Now I have the answer! Something in the air told me I'd get it! Why do I have this sudden need to scream? Paul, If you had read the post above, that Blaine removed, you and God would both know. Blaine says he used three lists; I'll admit I used one, but I suppose there are some here who solved it with no list. Whatever happened to Sonny Liston? Congratulations to Mendo Jim for slipping "annoyed" past Blaine. Jsulbyrne's hint cracked me up. With answers in hand, perhaps someone should assign us a new puzzle to work on. Bonus Puzzle #3: Think of a well-known phrase, 3 words, 11 letters total. All three words have a short u or schwa sound, but no vowel is used more than once. Yes it has a clue. And unfortunately I'm done with schwa puzzles! Excellent, sdb, the schwa motto! It stands for, Why Trump Fails. eco, was that ^^^ your intended answer to your bonus puzzle? Yes, WTF was the intended answer. (Non-Mendo) Jim posted "WTF? Short "u"?" and deserves credit, especially if he intended to hint that all 3 words have a short "u" sound. Or something close, I don't want to start another schwabble. Is it in honor of Pyeongchang that there are so many entrants in the "removed by a blog administrator" Olympics this week? I don't know about that, but the comment which took me from totally at sea (to borrow a metaphor from the folks at the Wall Street Journal meta-puzzle blog) immediately to the correct answer is still posted in the 75 or so above! Happy Valentine's day from fearless leader! I hope everyone had a happy VD. The same specialist would treat both body parts. I awoke this morning to the NPR news and Trump expressing someone's feelings about the school shooting yesterday. You can always tell when he is reading something he had nothing to do with writing. It always sounds as if he never even pre-read it, let alone believes what he is saying. "My prayers and condolences to the families of the victims of the terrible Florida shooting. No child, teacher or anyone else should ever feel unsafe in an American school." I think you forgot to mention at a Trump rally. I feel unsafe every moment he is not in prison. But, have you turned to our Attorney General for comfort? This morning one of the news networks were showing the many senators & congressmen saying how sad they were that the FL. shooting happened. No word from them, though, as to how they might prevent this in the future. As the politicians were speaking, a graphic was being displayed, showing the millions of $$ they received from the NRA. Realistically, nothing will ever change. Don't look to Trump for leadership. My Hints: Why should I bother to hint at a puzzle that already so many had spoiled with their Harriet give-away posts? Femora (the plural of femur, part of the human body) and Forearm (a part of the human body). "Stream" refers to ephemeral, which sounds similar to FEMORA(L). Tonsil and Nostril, ho hum. The plethora of ice cream and kid in the hospital clues gave that one away. "Illinois" refers to Palatine, Illinois. The full medical term for tonsils is PALATINE TONSILS. "Very enteresting." refers, of course, to an Ear, Nose, and Throat Specialist. Ah, such propriety! It was the ice cream and hospital that you cite as give-aways; for me it was the commenter hoping that his answer would be "picked." Shortly after I made my remark, that comment was removed, but I thought it would be indelicate to remove mine. WW: I thought your Illinois reference was shorthand for "ill adenoids"
The big give-away was the picture of a nose with large nostrils at the top of the page. I forgot: "truly, truly annoyed" was meant to evoke adenoid. And, here is femora defined. Last Sunday I said, “I have the intended answer, but there’s a second perfectly good answer if you accept plurals.” I’m thinking of femora and forearm. "Across the nasion [sic] ... STRAP will hold a candlelight vigil ...": The nasion is the bone at the bridge of your nose where the two nasal bones join. Candlelight (also STRAP folks were lighting torches at the end of last week): inflammation is common with tonsils. Last week I also wrote "I scream (ice cream) real loud". I hope that was a little subtle. "... so many entrants in the "removed by a blog administrator" Olympics this week? ": I was going to write "Blaine can make an entire career removing giveaways" but Blaine beat me to that ENT physician reference, and I don't know if Blaine has any IRE in removing bad posts with surgical precision, or even if he RANTS while doing so. > I'm reminded of a Tolkien creature. ENTs (ears, nose & throat docs) deal with both parts. I thought of nostril immediately but could not think of tonsil and gave up on it. Later I used jumble solver and voila! We offer seven fresh puzzles on tomorrow's Puzzleria!, including a gem created by cranberry (Patrick J. Berry). Name part of the human body in six letters. Add an R and rearrange the result to name a part of the body in seven letters. The first four letters in each of these body parts can be rearranged to form a vulgar term (the same one in both cases) that is associated with one of the body parts. What is the vulgar term and what are the two body parts? As one of those who got "Deleted by the Blog Administrator," this week, I apologize if my quips came too close. The deleted post was, "I waited a while, but now my answer has been sent in. Who knows, this week I may get lucky and have it picked." I'd thought the homonym pairs (sent/scent and knows/nose) would pass muster - and my comment about being picked was just my inner 10 year old getting loose. SuperZee, you were in pretty deep with that clue. . . I'm reminded of a 1959 song by the Coasters. If you inhaled little bits of colorful, shiny plastic, would it then be pick of the glitter? Sure, but if it also tickled it would be a glitch. And falling in lust would be glamorous, until you drank too much and fell on your glass. For a while, it seemed like the only clue of mine I could get away with was "Something in the air told me I'd get it." 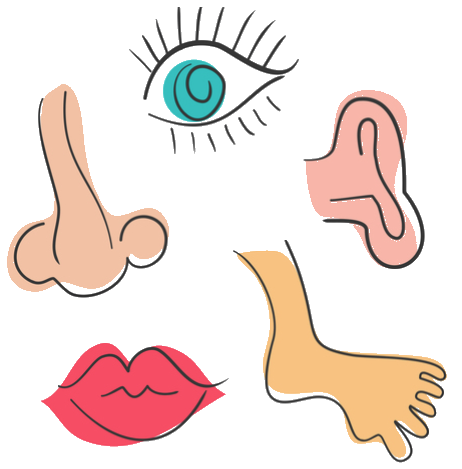 Your nostrils do help you detect when something is in the air(though I personally tend to notice more when mine are stopped up than when I can actually smell something). I used the word "blow" in a later post, and that was deemed a much-too-obvious reference to the nose, much like SuperZee's prior comment using "picked". I then mentioned ice cream because the blog administrator had removed my comment. He then removed that one because apparently it's way too obvious when a child has his/her tonsils "removed", they take the child out for ice cream. I was originally going to comment on his use of the word "removed", or the similar phrase "taken out", but I knew that might give it away right there. Luckily I came up with the Three Stooges reference, and they kept that. In case anyone doesn't understand it, once Moe told another Stooge(probably Curly) after he really made him mad, if he ever did it again, "I'll gouge your eyes out! I'll tear your tonsils out!" Charming fellow. Moe probably made more actual use of the others' nostrils, though. Ouch! In my 5 years here, I've had one clue removed by Blaine. It never occurred to me to think, after it was removed, "Gee, I should post it again!" My clues "....Blaine sure knows....". And "someone should assign us ...."( for a sinus). I enjoyed the picking references. Although obscure, I stopped looking after I came up with, what I think is, a correct answer. VENULE is a small vein, NERVULE is a small nerve. And an AMPULE is, like, a milliamp. And a CARPOOL is a goldfish. jan - You would know. What is Carpool Tunnel Syndrome? I wasn't looking for a medical textbook. Anyway, not only was Judy Gruen, but so were her kids. I wonder if that Romanian Olympic Gymnast, Nadine Commanche, suffered from Carpool Tunnel Syndrome? I have a neighbor who is a former gymnast, as is his wife who is also from there, and knows Nadia Comaneci. I understand she can be rather difficult. Wow, it's a small world sometimes, that article said she lives in Norman, OK., which isn't that far from here. Who would've thought that would happen in the 70's & 80's? SDB: if difficulty weren't part of her routine she'd have never won all those medals. eco: Keep in mind the two people I heard this from were also competitive gymnasts, and I was using a more polite term than what they used. Do gold medal winners have more brains than bronze? Well what do you zinc? I believe eco was being clever referring to the degree of difficulty of the routines Nadia performed. . . I hope you are right. But I don't see what could be so difficult about hanging around bars as a routine, even if they are in a parallel universe, so to speak. Back when I was in the army my drill sergeant was averse to 10. He would frequently yell out, "Ten shun!" A verse to 10? Here's Billy Collins. Architects always like to hear drill sergeants review house designs, they yell "Ten-hut!" I must stress that was a real strain, draw your own conclusions. That one was so corny it yurts! Are you stalking me? That's what I 'ear from the colonel. Let's not bungalow this, you're making me tents. eco, how were you able get the colonel's ear? And, assuming you got both, were they olfactory made? Next week's challenge: An easy-sounding challenge this week that turns out to be not so easy: Two major U.S. cities, each with two-word names, each have an unusual property: The last two letters of the first word in the name are the same as the last two letters of the second word in the name — like University City, in Missouri, in which both "university" and "city" end in "-ty." But both cities in my answer are much larger. According to the 2010 U.S. census, each city has more than a quarter-million people. What cities are they? They're about 1200 miles apart. I'll bet there are more than 1200 correct answers. That's interesting... my answers are not that distance apart. Guess I'll have to look elsewhere. --Margaret G.
Will changed the weekly challenge on air from the one published in the website. For this quiz, I only find one answer that has more than 250,000 population. The next city that satisfies the criteria has between 250K and 200K. 900 correct answers last week. Yeah, Lego, for having your puzzle as the weekly challenge! Did Will mention FEMORA and FOREARM? Or any alternate answers? Maybe there was a reason I slept through the first puzzle airing. Yes, Will did mention FEMORA and FOREARM, but disallowed them because FEMORA is plural, and the puzzle asked for a body part. Will did mention FEMORA and FOREARM, saying that it was a "close call" (or some such language) but not kosher because FEMORA is plural. Thanks, jan and Lego. At least they got a mention so that's a non-annoying way to start the day. I still think asking for "part of the human body" works for femora and "a part of the human body" works for forearm. The different phrasing in the puzzle seems to provide that leeway. One can say "Legs are part of the human body" but "The forearm is a part of the human body." Oh well. On to Lego's new puzzle. Wait! The puzzle read on air is not the one on the website! Anyone got a transcription? I think somebody figured out that there is only one city over 250,000 that works. It's a Joseph Young puzzle; maybe we should ask him. I got my two that qualify with population quickly after others that don't have the population. Huh!? I already submitted an answer to the puzzle that was on the website. I guess that means I'm not eligible to submit an answer to the real puzzle this week. Which, my wife tells me, was submitted by our own Legolambda! I wonder if the puzzle was withdrawn because one of the cities might emphasize a current American problem? Do we still need to tiptoe around the answer, since it seems this is no longer this week's puzzle? Maybe they'll reuse it? Thanks for corroborating my answer, Rob. I'm wondering if the puzzle is meant for *next* week, not this one? --Margaret G.
This week's challenge comes from listener Joseph Young, who conducts the weekly blog Puzzleria. Take the start of the name of a country and the end of that country's capital. Put the parts together, one after the other, and you'll get the last name of a character in a very popular movie. It's a character everyone knows. Who is it? Playing off another recent puzzle, Lego?